Please fill out the form below carefully. When you press submit, this form will be sent to our administration office. Note: Please use a separate form for each child. All forms must be completed and submitted before your child begins camp. I give my child permission to attend all trips, and receive medical care in the case of emergency. 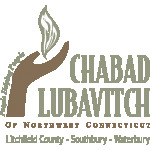 860-567-3609 - Litchfield County, Southbury, Waterbury.